03/12/2018 Affin Hwang Capital UMW Holdings - High Five for 9M18 Results! hewusana I think slim chance to be below rm4..this round..
May wait for next drop..
TakeProfits Eeh, govt spokesman advised no cgt on share capital gain. So DON'T HOPE BELOW 4 NOW. MIMPI ARH!! Hewusana, you can.wait and buy at 5..kikiki..haha..
BULL1000BEAR1000 Tomorrow will be as strong as Toyota Tacoma, Toyota 4runner and Toyota Sequoia. Although there are no official figures as yet, you can expect to pay around £28,000 for a basic petrol and around £30,000 for a hybrid when the RAV4 goes on sale in early 2019.
hewusana Price no up.. but turn to be down..
commonsense Guys, just wanted to know what are the catalysts to invest or stay invested in UMW? Previously it was supposed to be the MBMR deal but that has since been scraped. Doing the deal would have made the company very appealing since it will be the only proxy to Perodua growth. Now MBMR looks a lot cheaper compared to UMW. Toyota sales during the tax holiday was excellent but can it maintain the momentum given now that the cars are on average more expensive post SST compared to during GST in particular the higher margin vehicles like Vellfire and Alphard (both are CBU models). Even the newly launch Rush is actually being manufactured by Perodua. The new plant in Bukit Raja is apparently mainly for the sedan models (Vios and Cambry). I initially thought that they would focus more on the SUV or MPV models for the new factory. I think they still need around RM1bil to complete the factory as of 2Q18. The aerospace division still has yet to breakeven. Need to wait for 3Q18 to see if they have improved but based on the recent analyst reports it seems like they are facing difficulties in the operation and most likely will miss their target for breakeven by end of this year. Hopefully, they can show improvement in 3Q. The unlisted O&G division posted a loss of RM122mil in 2Q18. Did they managed to sell the remaining businesses? Most analyst has actually taken out this division performance in coming up with their target price. If they failed to disposed off the assets, then the analysts might add back the losses into the target price calculation, wouldn't they? My final concern is on the cash flow. They still have around RM2bil in reserves (cash and money market securities) but around RM1 bil is for capital committed for the Bukit Raja plant which leaves them with RM1 bil. Is this enough? in 1H18 they cash outflow was -RM360mil. If it was not because of the RM1.1bil sukuk, the cash outflow would have been -RM1.4bil. Are they planning to raise any further capital soon? cheated Why QR must delay if good? commonsense Whats your view on 3Q result? My expectations is that auto will still do well. Not an issue for me. Heavy equipment should also do well. Worries would be on the M&E and unlisted O&G divisions. Expect higher losses on the aero segment (based on analyst report, they actually missed their target for this year) and still high losses on the o&g segment. Since 2q the only development of the unlisted asset announce in the winding up of vina offshore. But i think that one is just a small company. So expect still higher losses from unlisted o&g segment. Still dissapointed that they failed to get MBMR. They should have just increased the offer at rm3. Even that its still less than 10x PE and less than 0.8x BV. Given the current valuation of 15x expected core PAT and 1.7x BV that UMW is trading at the moment, it is still consider value accreative. 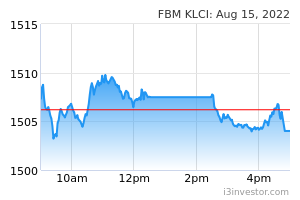 In addition, the market has no other choice but to buy UMW shares to have exposure to Perodua. Anyway if they can disposed of o&g assets and turn around the aero division that would be great news for investors. Hope they can achieve this soon. BULL1000BEAR1000 Our car price is good to buy. We saw a lot of new car on the road. However, investors need to be prepare for a still big losses coming from the aerospace and also the unlisted O&G divisions. I am anticipating a combined losses of RM100mil for these two division combined. It may take a while for the aerospace division to breakeven (hopefully by next FY). Equipment profit (excluding gain on disposal to Komatsu) should be around the range or RM35-40mil. 1) The growth of Perodua profit in FY19 from the still high demand of New Myvi and the introduction of new entry level SUV. 2) The breakeven of the aerospace division. 4) Growth from heavy equipment division from potential new products introduce by Komatsu. Issues facing UMW for the near term will be its cash balance (they still need around RM1bil to complete the Bukit Raja Toyota plant and also further investment for the aerospace division). Investors that are buying into this company for their exposure to Perodua should consider switching to MBMR as it offer a cheaper alternative to UMW. commonsense 3Q18 result was above expectation mainly due to the better performance of the M&E and unlisted O&G segment. I had been too pessimistic on both the divisions and had anticipated a loss of -RM100mil. The actual result (PBT) for the combined division is -RM2.2mil. Auto and equipment divisions PBT were both in line with my expectation. Auto division managed to bring in RM151mil PBT thanks to better margin (stronger RM vs USD) and higher sales from the tax holiday period. Equipment PBT was at RM43.5 mil driven by higher export sales and higher demand from construction industry as client would most probably want to take advantage of the tax free holiday. Toyota sales in Oct dropped to 4,757 cars vs 6,201 recorded in Oct 17 (-23% decrease). Perodua sales in Oct increased to 19,528 cars vs 16,491 recorded in Oct 17 (18% increase). If the trends continues, i would assume the PBT for the division could still be around RM150mil for 4Q18. Equipment should still be able to record a PBT of around RM40mil. Assuming a breakeven level for the combine M&E and unlisted O&G segment. Valuation wise, I am targeting the company to be able to get RM550mil PATAMI for FY 2019. At the current price this would translate to a valuation of 10.7x Fwd PE which is not that expensive. For gearing calculation I have adjusted the sukuk of RM1.1 bil to be placed in non current liabilities instead of equity. This would bring the debt level of the company as of Sept 2018 to RM4.2bil and reduce the total equity to RM4.5bil. Adjusted gearing is 93.9% however net gearing (company has RM2.7bil in cash reserves and liquid investment) is only 33%. For Toyota, i am not certain that the new Bukit Raja plant would be a positive catalyst to the company as the plant is only expected to produce Camry and Vios models instead of the MPV (Vellfire and Alphard) or SUV (Rush currently being manufactured by Perodua). Just because the capacity increase does not mean demand will increase as well. For those interested in having exposure to Perodua, MBMR would offer a better alternative. Valuation is cheap at only 5.3x PE (based on target FY18 PATAMI of RM145mil. 9m PATAMI is already at RM106mil). PB is low at only 0.5xBV. 4Q18 results is expected to be higher than 3Q18 and last year 4Q17. Please go through analyst reports (https://klse.i3investor.com/servlets/stk/pt/5983.jsp) and do your own analysis before making any decisions. BULL1000BEAR1000 Foreign car manufacturers will slowly withdraw their market in Malaysia because of not favorable policies which would affect the sales. pang72 Look alike kyy style...belankang Mari!! Kawkaw epf bought.. Good indicator for buying..
No get... No woman... No cry..
BULL1000BEAR1000 The new Toyota Vios has been launched on the China car market. Price starts at 69.800 yuan and ends at 112.800 yuan. Wake up . Still kena tipu? Make bull for umw looo.. It will end up... With other bull..
About to start... Any one want to ride... Most welcome..
SamuelLuke Those players in O&G sectors can sell lo, time to watch construction.... the worst time is over. Place your bet and wait for your reward. O&G sector will now meet its worst challenge. Sell now while your have your profit!!! SamuelLuke SamuelLuke Those players in O&G sectors can sell lo, time to watch construction.... the worst time is over. Place your bet and wait for your reward. O&G sector will now meet its worst challenge. Sell now while your have your profit!!! Construction sectors are moving now guys you still have chances arrange your moment don’t miss the best moment!!! Kawkaw 5.35 waiting for u.